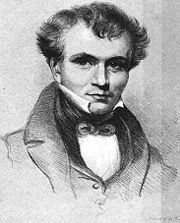 William Whewell (May 24, 1794 - March 6, 1866) was an English polymath, scientist, Anglican priest, philosopher, theologian and historian of science. His surname is pronounced "H-you-el." He was one of the founding members and an early president of the British Association for the Advancement of Science, a fellow of the Royal Society, president of the Geological Society, and longtime Master of Trinity College, Cambridge. His best-known works, History of the Inductive Sciences (1837) and The Philosophy of the Inductive Sciences, Founded Upon Their History (1840), attempted to systematize the development of the sciences and set forth an inductive philosophy of science intended as a “renovation” of Francis Bacon’s method. Whewell identified two opposite elements in every act of knowledge, which he called “ideas” and “perceptions.” He maintained that each branch of the sciences was based on a particular fundamental idea, such as Space (geometry), Cause (mechanics), or Substance (chemistry), which was not derived from observation but originated in the mind, and could be used to organize all the known facts about that science. Whewell declared that there could not be a fixed method or “art” for discovering scientific truths, because the “invention, sagacity, genius” of the individual scientific mind were needed to reach each conclusion. Whewell’s philosophy of science included the claim that through empirical observation and induction, it was possible to arrive at “necessary truths,” truths which can be known a priori because they are necessary consequences of ideas that are a priori. Whewell justified the existence of necessary truths by suggesting that God created the universe in accordance with certain “Divine Ideas.” God created the mind of man to contain these same ideas, and intended that man have knowledge of the physical world through the exploration of ideas which resemble those used in creating the world. Once these ideas were clarified, they could be used to further man’s understanding of the universe. Scientific development was a process of “discovering” more and more of these necessary truths, progressing towards a complete understanding of the natural world and a deepening conviction in the existence of a Divine Creator. Whewell was born May 24, 1794 in Lancaster, England. His father was a master-carpenter, and his mother occasionally published poems in the newspaper. His father wanted him to follow his trade, but the headmaster of his local grammar school recognized his ability in mathematics and recommended that he attend Heversham Grammar School in Westmoreland, where he could qualify for a “closed exhibition,” or scholarship, to Trinity College, Cambridge. These scholarships were made available to the children of working class parents, to provide those with exceptional ability an opportunity for social mobility. He received private tutoring in mathematics and won the “closed exhibition,” and money was raised through a public subscription so that Whewell could attend Cambridge University. He entered Trinity College in 1812. In 1814, he won the Chancellor's prize for his epic poem “Boadicea.” He proved his ability in mathematics by becoming second Wrangler and second Smith’s Prizeman in 1816. He was elected President of the Cambridge Union Society in 1817, and became fellow and tutor of his college. Whewell was elected to the Royal Society in 1820. In 1825 he was ordained as a priest, a requirement for all Trinity Fellows. He was professor of Mineralogy from 1828 to 1832 and of Moral Philosophy (then called "moral theology and casuistical divinity") from 1838 to 1855. On October 12, 1841 he married Cordelia Marshall, and almost immediately succeeded Dr. Wordsworth as Master of Trinity College. He was Vice-Chancellor of the University in 1842 and again in 1855. In 1848 he was involved in establishing the Natural and Moral Sciences Triposes at the University. After his first wife died in 1855, he remarried Lady Affleck, the sister of his friend Robert Ellis. Lady Affleck died in 1865. Whewell died, after being thrown from his horse, on March 6, 1866. At a time when men of science were becoming increasingly specialized, Whewell exhibited a wide variety of interests. He researched ocean tides (for which he won the Royal Medal), published work in the disciplines of mechanics, physics, geology, astronomy, international law, architecture and economics; composed poetry; authored a Bridgewater Treatise; translated the works of Goethe; and wrote sermons, theological tracts and letters. In addition to being Master of Trinity College for more than twenty years, he served as a founding member and an early president of the British Association for the Advancement of Science, a fellow of the Royal Society, and president of the Geological Society. Major scientists of his day, including Charles Darwin, Michael Faraday and Charles Lyell acknowledged his influence. In 1825 he studied mineralogy and crystallography with Friedrich Mohs and other acknowledged masters in Vienna and Berlin. He published numerous papers on mineralogy, as well as a monograph, and is credited with contributing to the mathematical foundation of crystallography. Whewell corresponded with many scientists and intellectuals, and helped to create new terminology for their discoveries. Upon the request of the poet Coleridge in 1833 Whewell invented the English word “scientist;” before this time the only terms in use were “natural philosopher” and “man of science.” For Faraday he invented the terms “anode,” “cathode,” and “ion.” He also created the terms consilience, catastrophism, and uniformitarianism, among others. In the “Language of Science” in the Philosophy, Whewell explained that he only provided terminology when he believed he was fully knowledgeable about the science involved. Whewell wrote more than 150 books, articles, scientific papers, reports, reviews and translations. His best-known works are History of the Inductive Sciences (1837) and The Philosophy of the Inductive Sciences, Founded Upon Their History (1840), which attempted to systematize the development of the sciences. The History traced how each branch of the sciences had evolved since antiquity. In The Philosophy of the Inductive Sciences, Whewell considered himself to be “renovating” Bacon's inductive method, based on his observations of the historical development of the sciences; one volume of the third edition of the Philosophy is entitled Novum Organon Renovatum. Whewell declared that there could not be a fixed method or “art” for discovering scientific truths, because the “invention, sagacity, genius” of the individual scientific mind were needed to reach each conclusion Other important works were the essay, Of the Plurality of Worlds (1854), in which he argued against the probability of planetary life; the essay, Of a Liberal Education in General, with particular reference to the Leading Studies of the University of Cambridge (1845); the edition and abridged translation of Hugo Grotius, De jure belli ac pacis (1853); and the edition of the Mathematical Works of Isaac Barrow (1860). Whewell’s letters and papers can be found in the Whewell Collection, Trinity College Library, Cambridge. A selection of letters was published by I. Todhunter in William Whewell, An account of his Writings, Vol. II (London, 1876) and by J. Stair-Douglas in The Life, and Selections from the Correspondence of William Whewell (London, 1882). Whewell identified what he termed the “antithesis of knowledge,” explaining that “in every act of knowledge … there are two opposite elements, which we may call Ideas and Perceptions” (On the Philosophy of Discovery: Chapters Historical and Critical, London, 307). He believed that in order to acquire knowledge it was necessary to pay attention both to the ideal element (Ideas) and the empirical element (Perceptions, or sensations). Whewell maintained that each branch of the sciences was based on a particular Fundamental Idea, such as Space (geometry), Cause (mechanics), or Substance (chemistry), which could be used to organize all the known facts about that science. Each Fundamental Idea included certain “conceptions,” “special modifications” of that Idea which arose when the idea was applied to a specific case. Fundamental Ideas were accurate representations of objective features of the world and were not simply the result of observation but were “supplied by the mind itself.” Fundamental Ideas were “not a consequence of experience, but a result of the particular constitution and activity of the mind, which is independent of all experience in its origin, though constantly combined with experience in its exercise” (The History of Scientific Ideas, in two volumes, London, I, 91). The mind was not simply a passive recipient of sensory impressions, but played an active role in giving meaning to these perceptions through “unconscious inference” using Fundamental Ideas. “the Ideas, the germs of them at least, were in the human mind before [experience]; but by the progress of scientific thought they are unfolded into clearness and distinctness” (On the Philosophy of Discovery: Chapters Historical and Critical, London, 373). Whewell coined the term “colligation” to describe the mental operation of uniting a number of empirical facts under a conception which could be expressed as a general law. He pointed out that scientific discoveries were often made, not by the discovery of new facts, but by organizing known facts under the appropriate concept. Whewell referred to the clarification of ideas as the “explication of conceptions.” He claimed that the history of scientific development was, for the most part, a process of the explication of scientific ideas and their subsequent use as “colligating concepts.” The choice of an appropriate concept to colligate a body of empirical observations was not made through guesswork, but through a “special mental process” of inference; Whewell allowed for any type of inference, including enumerative, eliminative and analogical. the formation of the conception, or special modification of the Fundamental Idea, as it applied to the particular phenomena being studied; for example, concepts such as a circle, or a uniform force. These steps were followed by special methods of induction applicable to particular quantities: the method of curves, the method of means, the method of least squares and the method of residues, and special methods depending on resemblance (to which the transition is made through the law of continuity), such as the method of gradation and the method of natural classification. Once a law was seen to apply to all the known members of a class, it could be generalized to the entire class, including its unknown members. Whewell emphasized that there could be no mechanical process of induction which would automatically produce new scientific discoveries; each step required the unique inspiration and genius of an individual scientist’s mind. Whewell’s philosophy of induction had some common features with Bacon’s method of induction. Both insisted that induction must involve mental processes beyond the simple recording of empirical facts; that science must proceed by successive steps of generalization; and that laws, once established as true for observable phenomena, could be applied to unobservable entities of the same class. In Philosophy of the Inductive Sciences Whewell was the first to use the term "consilience" to discuss the unification of knowledge between the different branches of learning. Once a theory was arrived at by induction, Whewell believed that it must undergo a series of confirmations in order to be considered an empirical truth. The first test was how successfully the theory could predict the occurrence of phenomena which had not yet been observed. Successful prediction of previously unknown phenomena was more valuable proof of a theory than its application to existing phenomena. An even more valuable proof was “consilience,” when a theory could be used to explain and predict cases of different kind than those originally observed. A third proof of the validity of a hypothesis was that it become increasingly coherent over time. A theory was coherent when it contained the elements necessary to extend itself to a new class of phenomena without being modified. Whewell’s philosophy of science included the claim that through empirical observation and induction, it was possible to arrive at “necessary truths,” truths which can be known a priori because they are necessary consequences of ideas that are a priori. 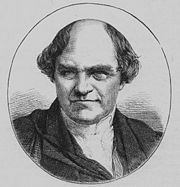 Whewell rejected Kant’s statement that necessary truths were synthetic. Once certain Fundamental Ideas and conceptions had been explicated and understood by scientists, the consequences which followed from them were seen to be necessary truths. Empirical science played an important role in revealing necessary truths; once understood, it became clear that they could have been known independently of experience. "though the discovery of the First Law of Motion was made, historically speaking, by means of experiment, we have now attained a point of view in which we see that it might have been certainly known to be true independently of experience" (The Philosophy of the Inductive Sciences, Founded Upon Their History, 2nd edition, in two volumes, London, I, 221). Whewell justified the existence of necessary truths by suggesting that God created the universe in accordance with certain “Divine Ideas.” For example, the Fundamental Idea of Cause is a divine idea; thus God made the universe in such a way that every event has a cause and cannot occur without a cause. Whewell's view was that man is able to have knowledge of the world because the Fundamental Ideas resemble the ideas used by God in His creation of the physical world; God created the mind of man to contain these same ideas. God intended that man have knowledge of the physical world, knowledge which is possible only through the exploration of ideas which resemble those that were used in creating the world. One these ideas are explicated and understood, man can colligate correctly the facts of the world and form true theories. Every law of nature is a “necessary truth,” since it derives from an idea used by God in creating the universe. The more man understands necessary truths through induction, the more man will see these truths as the intelligible result of intentional design, and the more difficult it will be to deny God's existence. In his Bridgewater Treatise, Astronomy and General Physics considered with reference to Natural Theology (1833), Whewell suggested that the more man studies the laws of nature, the more convinced he will be that there exists a Divine Law-giver. Between 1835 and 1861 Whewell produced various works on the philosophy of morals and politics, the chief of which, Elements of Morality, including Polity, was published in 1845. This work, written from what is known as the intuitional point of view, describes a fivefold division of the springs of action and of their objects, of the primary and universal rights of man (personal security, property, contract, family rights and government), and of the cardinal virtues (benevolence, justice, truth, purity and order). Among Whewell's other works were the Platonic Dialogues for English Readers (1850-1861); the Lectures on the History of Moral Philosophy in England (1852). Whewell's morality was intuitionist in the sense that he claimed that humans possess a faculty, the “conscience,” which enables them to discern directly what is morally right or wrong. However, he did not claim that the conscience was a “moral sense” similar to the sense organs, which simply enabled a person to “feel” what action was right in a situation. John Stuart Mill wrongly criticized Whewell by suggesting that what he meant by “intuition” was a non-rational mental process. Whewell’s idea of the conscience was “reason exercised on moral subjects.” He referred to moral rules as “principles of reason” and saw the discovery of these rules as an activity of reason resembling scientific research. Moral principles could be established by a rational process, through the contemplation of man’s moral nature and condition. Reason would lead to common decisions about the right way to act, and disputes could be settled rationally. “Reason directs us to Rules” (The Elements of Morality, Including Polity, 4th edition, with Supplement, Cambridge, 45). “Certain moral principles being, as I have said, thus seen to be true by intuition, under due conditions of reflection and thought, are unfolded into their application by further reflection and thought” (The Elements of Morality, Including Polity, 4th edition, with Supplement, Cambridge, 12-13). Whewell was also interested in the history of architecture throughout his life. He is best known for his writings on Gothic architecture, specifically his book, Architectural Notes on German Churches (first published in 1830). In this work, Whewell established a strict nomenclature for German Gothic churches and came up with a theory of stylistic development. His work is associated with the "scientific trend" of architectural writers, along with Thomas Rickman and Robert Willis. John Stuart Mill attacked Whewell’s philosophy of science in his System of Logic, resulting in an interesting debate between them over the nature of inductive reasoning in science, moral philosophy, and political economy. Whewell strongly believed that a philosophy of science could only be developed by studying the history of science and examining the processes by which scientific discoveries had actually been made. He criticized Mill’s view of induction in the System of Logic because he thought that Mill had not given enough examples to illustrate the use of his “Methods of Experimental Inquiry,” and he believed that Bacon too had not been able to provide enough evidence to support his inductive theory. In 1833, Whewell coined the term "scientist" to describe the new group of professional people engaged in scientific work. The Moon's Whewell crater is named after him. The Gothic buildings known as Whewell's Court in Trinity College, Cambridge, are also named after him. Hutton, R. H. “Mill and Whewell on the Logic of Induction.” The Prospective Review 6: 77-111, (1850). Todhunter, Isaac. W. Whewell: an Account of his Writings, 2 vols., 1876. This page was last modified on 7 August 2013, at 17:20.